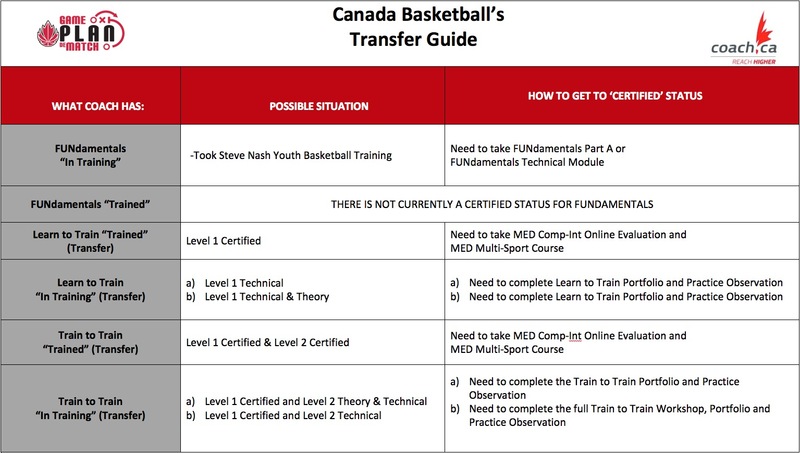 Basketball BC offers or supports programming in the Active Start and FUNdamental Development pathways to establish a foundation for athletes that may choose to transition into the Performance pathway as they mature, and advance through the Canadian Sport for Life (CS4L) development phases toward the Competition or Active for Life streams. The development pathway (CS4L Active Start, FUNdamental & early Learn to Train) is structured around local youth based programs. The programs allow players to access development within their community and are where coaches and players begin to develop the foundation required to participate in sport and make decisions about future paths. Training within these programs will focus on skill and development for the players; provide them with an opportunity to develop and demonstrate required skills and learn in-game strategies for competitions. High Performance Programming strives to create an inclusive, gender equitable, sport environment, which provides quality training and competition opportunities for athletes who may have provincial, post-secondary or national team aspirations. The goal is to provide competitive pathways, which allows the appropriate development of players and provides them with the environment to develop to the highest level possible.